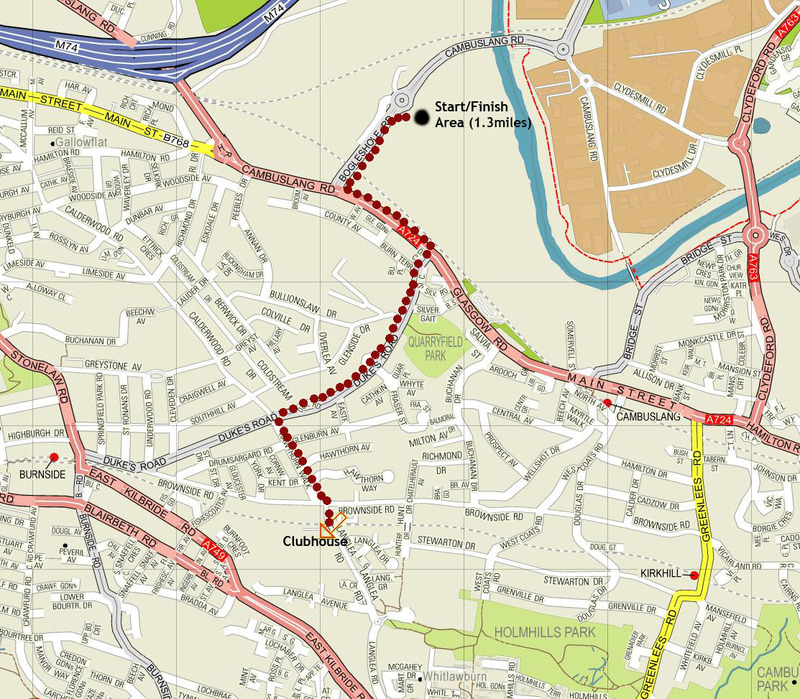 Due to unprecedented demand we have had to close entries for Sunday's DBTR 10k, unfortunately we cannot now accept entries on the day. 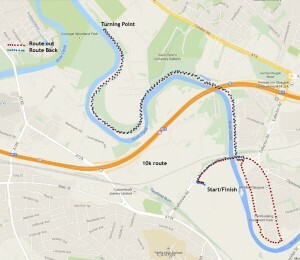 Entries for the 3k will still be accepted on the day. Arguably the biggest event of the year for most Scottish veteran athletes, this year it also clashed with the Scottish Masters indoors champs, and some of our athletes had difficult choices to make, and it was heartening that our key athletes put team before self on this occasion. Scottish Athletics have to be given due credit for at least moving the 3000m to an earlier date, with the original date for the indoor champs being moved due to a Tennis Davis cup match at the Emirates arena. 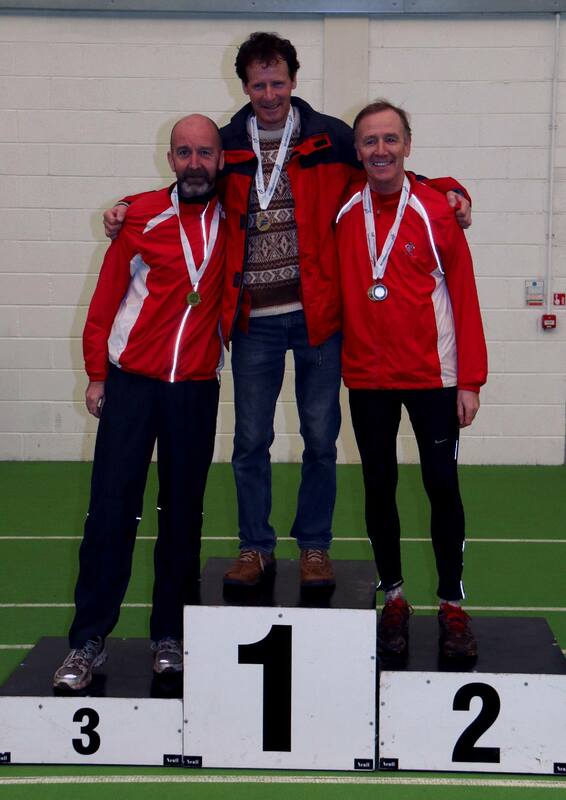 Some of our mature athletes performed excellently at the indoor champs, with David Cooney scooping gold in the M65 1500m, Barnie Gough medalled twice (M60 1500m silver & 800m bronze) whilst Archie Jenkins took bronze in the M60 1500m race. It's not been very often in recent years that both of our vets M40 and M50 teams entered any race as underdogs but such is the level of competition these days that both were the underdogs. Two late enforced call-offs didn't help, with on form Jamie Reid failing a late fitness test, and anglo scot Kenny MacPherson having to miss the event that he medalled individually and for the team last year. Last years M40+ team champions Corstorphine AC appeared favourites on paper to retain their title in Kilmarnock, led by the in-form Keith Hood, whilst M50+ Scottish Relay champs Shettleston and bronze medallists Edinburgh AC looked particularly strong in this age group, with last year's winners Portobello AC fielding last year's winning team, led by vets internationalists Peter Buchanan and Willie Jarvie. RHC are one of the very few teams who are capable of winning both titles, and always set their stall out to attempt to do so, even though the quality of their M50+ athletes has seen them counting for the M40 team to the detriment of the M50 team title. Not for the first time there appeared to be a steely determination in the eyes of the RHC athletes on the start line, guts were about to be spilled. The course should have included 3 submersions of the "swamp", but such was the depth of the water that the swamp was disappointingly bypassed and the athletes had to use the adjoining path instead. From the off Davie Millar of Irvine led the field, closely tracked by defending champion Kerry-Liam Wilson, Stevie Wylie, Keith Hood and Neil Smith of Anster Haddies. Whilst Millar eventually faded, Keith Hood came through to claim his first Masters XC title, with Kerry-Liam (M40 silver) finishing 2nd and with a track record of being in the 1st 2 for all of the last 7 years this was another excellent performance to lead the team home. Stevie Wylie (M40 bronze) was well clear in 3rd place, great reward for an excellent comeback year after many injury setbacks of late. 3rd man home for the club was Greg Hastie (M45 silver) who had a brilliant run to finish in 11th place, even though he knew he was giving up almost certain M45 indoor golds. With Corstorphine's 3rd counter coming in just behind Greg the team title, as predicted, was all down to the 4th counter for both teams. As it transpired RHC managed to get another 4 athletes home before our opponents and the team title was back in RHC hands. In fact it was another great run, this time by Chris Upson (M50 Gold), only 7 days after the birth of his daughter Flora Edith, who finished in 13th place and also secured the M50 individual title, so 2 golds to take home to Benjamin & Flora. Attention was now turning to the M50+ team title, with Chris no longer being eligible to count twice. If ever a club needs a Mr Reliable to step forward then the renowned ex-world cross country competitor Eddie Stewart is your man. 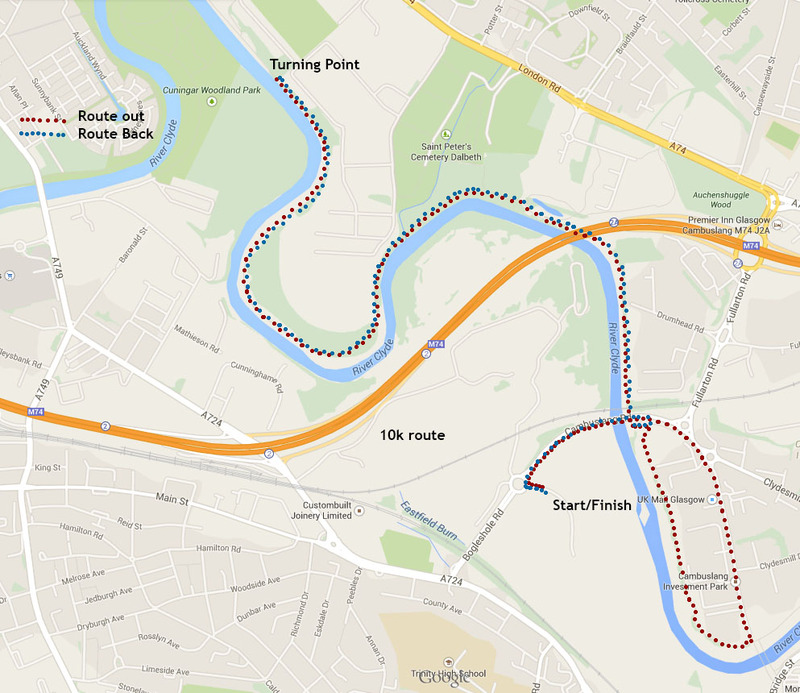 Having flown over from Prague to give the club a great pre-race boost, "Steady Eddie", as he is affectionately known, finished only 7 seconds behind Chris in 15th place to claim the M55 gold and to be our 1st M50 counter. Next home in 22nd place was Colin Feechan (M55 Silver) and our 3rd counter was eagerly anticipated. Dave Thom, who was Scotland's outstanding M50 athlete only 3 years ago, has suffered with a loss of form since, with the after effects of a debilitating virus the likely source. However, whilst he is at last showing a return to form, he knew exactly what was required of him team wise and focussed to ensure he was ahead of as many competitors as possible, and his just reward was ensuring that he was our 3rd counter and the M50m title was once again in RHC's hands. 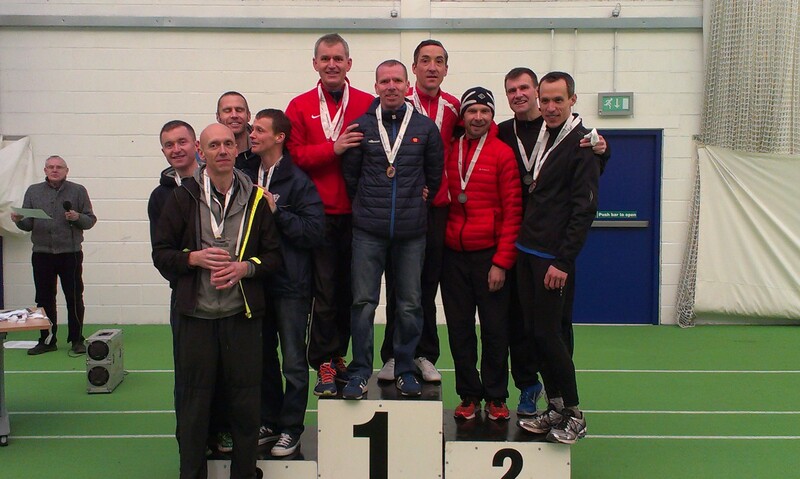 Shettleston Harriers and last year's victors Portobello AC were 2nd and 3rd respectively. Although not picking up team medals many of our athletes were playing a vital role in putting daylight between ourselves and our opponents. Mick O'Hagan came home in 34th place (7th M45), and XC debutant Michael Barker performed well to finish in 41st place. Dave Thom, as previously mentioned, finished in the top 50 and fellow M50 Alick Walkinshaw wasn't far behind in a very creditable 59th position. Scott Hunter and James Healy were next home for the club, closely followed by another XC debutant Des Dickson and Jimmy Zaple, who is on the comeback trail after a 2 year injury incurred break. M60 Peter Ogden continues to improve week by week and was pleased with his run. Unluckiest athlete of the day was M60 Frank Hurley, well clear and on track for a consecutive hattrick of gold titles when his left shoe disintegrated early on the 3rd lap and he had no choice but to withdraw, his first ever DNF in over 35 years of competing. Well done to all competitors, RHC vets once again deliver the goods on the day.